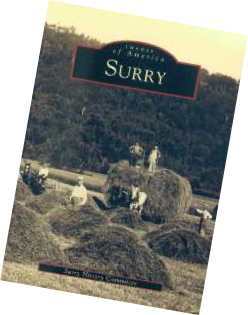 By Richard A. Scaramelli for the Surry History Committee This book shows how tiny Surry adapted to the profound changes of the twentieth-century, from electricity to e-mail, from TB Tine tests to cell phone towers to emerge a vibrant community set amidst a unique natural splendor. 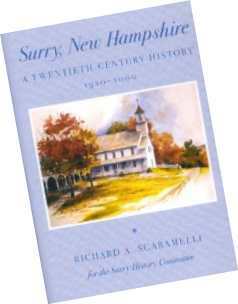 Published by Acadia Publishing, 2001During the years the committee spent researching Surry’s past, they collected hundreds of photographs. Richard Scaramelli, who was hired to write the town history, realized what a “beautiful, photographic town” Surry was and suggested that a pictorial history be published first. This is the result of the that suggestion. 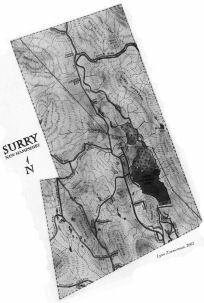 We have three Surry Maps available at $3 each. Two are copies of old maps and one is a new one in color. Both histories, the pictorial and the twentieth-century along with the Surry maps are now for sale from the town clerk’s office and the Reed Free Library. 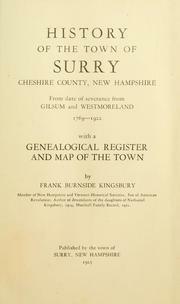 Please note the Surry History Committee is not a genealogy organization and the only genealogy they have is in the book. If you are interested in a paperback copy of the history you may purchase it here. Looking for gravesite or genealogical information? Most of the graves in Surry, listed in the 2 town histories, have been entered on Find A Grave. Go to www.findagrave.com and click “Cemeteries”, then search by location “Surry, Cheshire County, New Hampshire”.